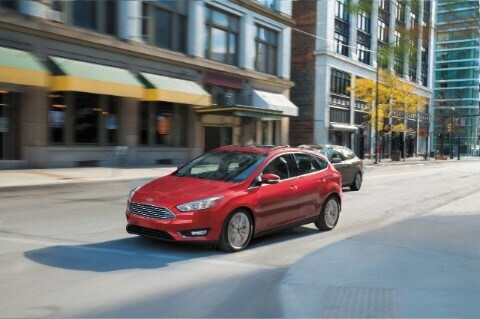 Our Ford car dealership is full of all of the newest models. The opportunity for us to aid residents in the Elsmere area to get the car they love and deserve is what we're here for. Elsmere, Delaware is a small town in New Castle County and is minutes away from Wilmington, Delaware. The town was founded in 1909 and is known for its rich history and known for hosting the Delaware State Fair from 1917-1928. The town is also known for its VA medical hospital that was the ninth VA hospital constructed after WWII. If you're living in the Elsmere area and have been feeling the need to upgrade your vehicle, then please consider stopping by our website for a wide variety of new and used Ford autos. We understand everyone has different needs of their day-to-day driving, and so we maintain a wide inventory of vehicles to ensure you find one that suits you. Have you been shopping around Delaware for a used vehicle? Start and end your search with Sheridan Ford and save yourself time and money. With a wide selection of low-priced, high-quality vehicles, we're sure that we can locate a pre-owned car that suits your tastes. Getting an auto loan can feel intimidating, but Sheridan Ford is here to make getting an excellent rate a stress-free experience. With friendly qualified experts on hand to help you, we at Sheridan Ford can get you a loan that fits your budget without the frustration. When we receive the application, we'll look it over and one of our friendly staff will contact you as soon as possible. Folks living in and around Elsmere Delaware can benefit from our Ford car repair center, which can help you keep your vehicle running like new. If you're having trouble finding certain parts or accessories, our friendly staff can help you. If you're interested in our service then please arrange an appointment for your vehicle.